Rebuild Kit for Solex 40 PII Single Shaft Carburetors as used on, amongst others, the Porsche 912. 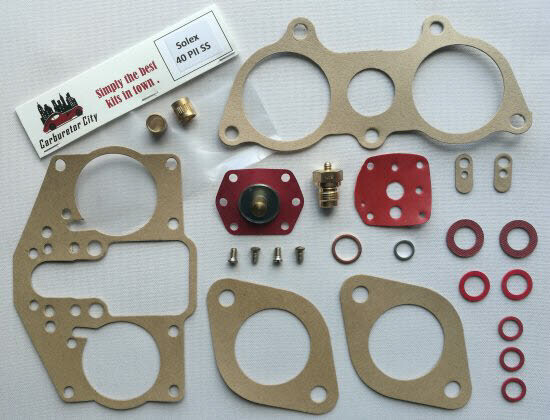 This rebuild kit is specifically for the 40 PII with one-piece throttle shaft. The split-shaft versions of this carburetor require a different rebuild kit.